Todd Bowles goes into Year 4 still looking for his first playoff appearance and still looking to convince skeptical Jets fans that he’s the right man for the job. It would appear to be a daunting situation, but Bowles, 54, insists there is no more pressure now than at any other time in his run with the Jets. The bottom line is the same for Bowles. Bowles has had mixed results. He showed the promise of a 10-6 season in 2015, during which he navigated the quarterback change necessitated by IK Enemkpali’s right to the jaw of Geno Smith. The Jets gave that veteran-laden team one more shot in 2016, only to have the bottom fall out in a 5-11 season. The Jets also finished 5-11 in 2017, but Bowles steered a rebuilding roster through some treacherous waters and did a credible enough job keeping things together that CEO Christopher Johnson gave him and general manager Mike Maccagnan two-year contract extensions through 2020. Bowles gets another reboot this season with the promise of a new quarterback in Sam Darnold, who has done everything asked of him and earned the starting job right off the bat. 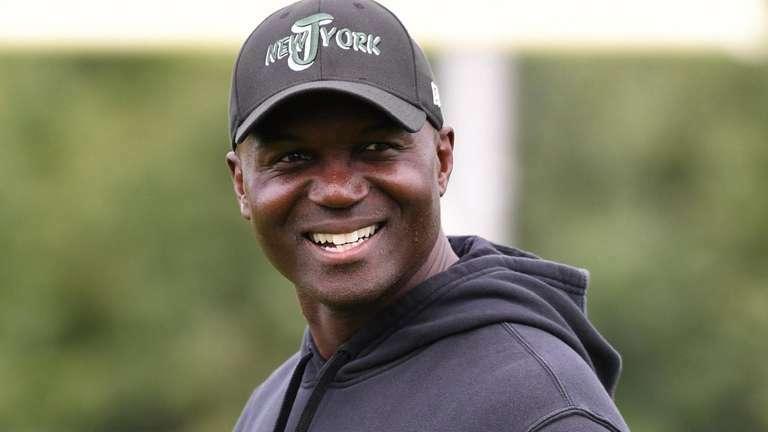 So there is plenty to like about this team in the long term, but Bowles knows he still must prove he is the right man for the job. And for anyone who thinks that going with a rookie quarterback right from the start means a longer grace period for the head coach, consider what happened in 2015. The Buccaneers took Jameis Winston with the first overall pick and the Titans selected Marcus Mariota at No. 2. By season’s end, both head coaches were gone. The Bucs (6-10) fired Lovie Smith and the Titans (3-13) did the same with Ken Whisenhunt. In the ever-demanding world of the NFL, in which patience — even with a rebuilding team featuring a rookie quarterback — has virtually evaporated, a coach is almost always on the hot seat. Contract extension or not, this is a big year for Bowles, who needs more tangible proof that he can set the stage for an eventual Super Bowl run. His roster still is incomplete — there is no big-time running back threat, no bona fide pass rusher and a so-so offensive line — but there is a quarterback who has shown plenty of poise in the early part of his career. Even with the roster deficiencies, there is enough to work with for Bowles to show he can get it done over time. What the coach does have going for him is the respect of his locker room, something that will be vitally important to his future. Bowles has been criticized for not being demonstrative enough, and his deadpan stares on the sideline often are mistaken for indifference. Rest assured he is as competitive a coach as any, even if his demeanor doesn’t show it. Besides, the Jets have had coaches with big personalities who win the press conference. But Rex Ryan and Herm Edwards didn’t win the ultimate prize either, so great quotes get you only so far. Bowles doesn’t get the benefit of the doubt that Ryan and Edwards may have earned from creating good will, but that’s not what he’s about. His goal is every Jets fan’s goal. he knows he either gets there at some point or he’s gone.